When you ask Berge Kayaian why he supports the Armenian EyeCare Project and its programs his answer is simple: he understands there is a solution to eye disease — 80 percent of blindness is preventable or treatable — and he knows he can help. Most recently, Kayaian, who is in his 90s and lives in Flushing, New York, has sponsored the operating room at the Regional Eye Clinic in Kapan, Syunik, which will celebrate its Grand Opening July 2017. “There is a lot of poverty in Armenia and many older people in the country have a mindset that blindness is inevitable — that they will just grow old and lose their sight — and I know different than that. I know that eyes are fixable and I can help them fix it,” Kayaian said. Kayaian is dedicating the operating room to his late mother, Araxie Apigian Kayaian, who was born in Yozgot, Turkey and witnessed many atrocities against Armenians during her adolescence in the country before fleeing to the U.S.
“If I can help so many Armenians in honor of my mother and what she had to go through to raise our family, of course I’m going to do it,” said Kayaian. The only eye clinic in southern Armenia, Kayaian understands how critical the Regional Eye Clinic in Kapan will be in helping local Armenians in the town and its surrounding region gain access to eye care. 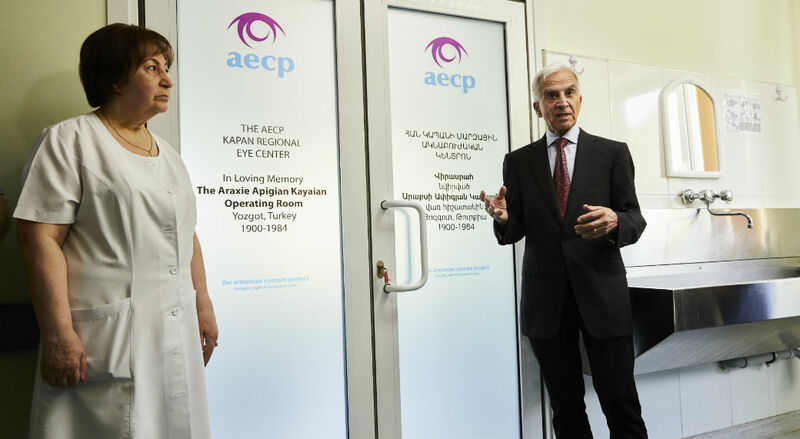 The AECP’s Mobile Eye Hospital takes two years to make a full rotation around Armenia; with the Regional Eye Clinics, Armenians no longer have to wait for the eye care they desperately need. The AECP will unveil The Araxie Apigian Kayaian Operating Room at the grand opening of the Kapan Regional Eye Clinic July 2017 and Mr. Kayaian will receive a plaque in recognition of his generous contribution. 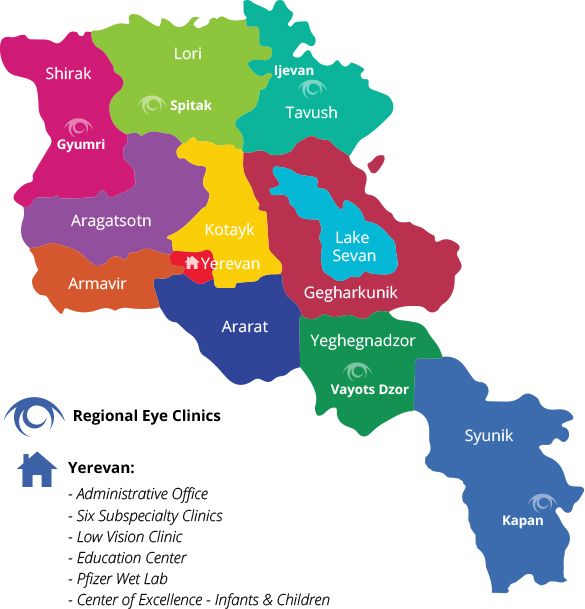 If you would like to support our Regional Eye Clinics, there are several naming opportunities, including the entire clinic in Yeghegnadzor, an operating room, an examination room, or a piece of equipment.